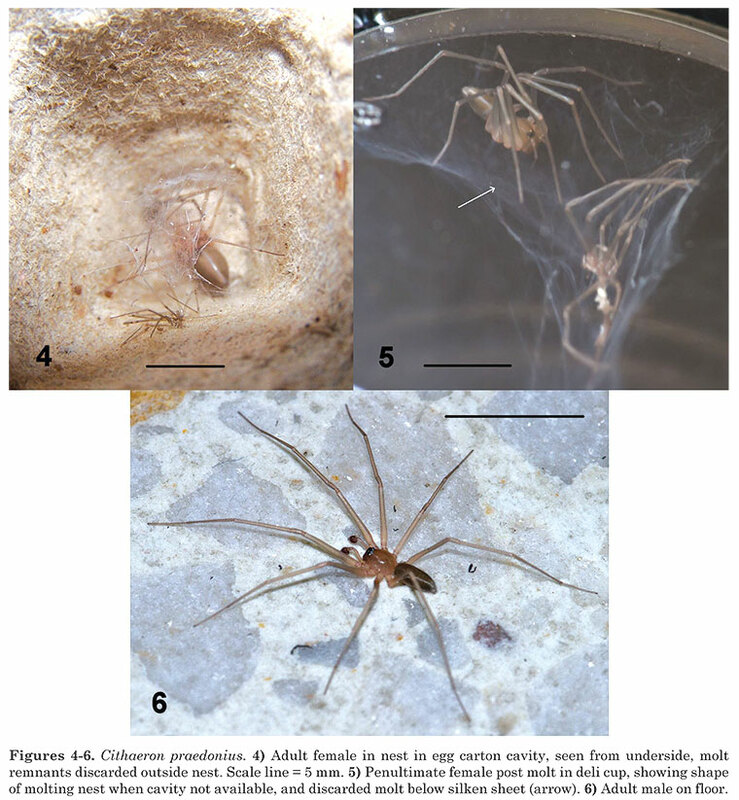 Cithaeronidae, one of the most obscure spider families in the world and particularly so in Australia, is one of the 'lower gnaphosoids' as opposed to 'higher gnaphosoids' the Prodidomidae, Lamponidae and Gnaphosidae. Citharonidae can be distinguised from other lower gnaphoisds Ammoxenidae, Gallieniellidae and Trochanteriidae by having long, pseudosegmented tarsi, or final leg segments. Cithaeronids also don't have elongated fangs. Only one Australian species of cithaeronids is known Cithaeron praedonius from Darwin and the Roper River region in the Northern Territory, now known to be associated with humans on every continent except Antarctica. 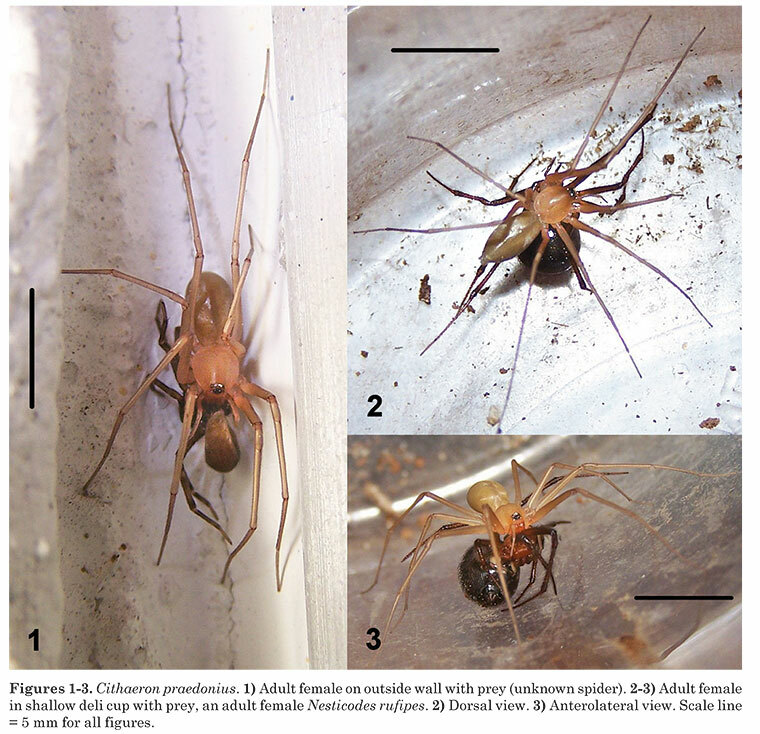 According to the original description, the type specimens of this species are from "under a stone on the Lebanon" and "a similar situation at Hasbeiya," Lebanon, but both specimens are actually penultimate females rather than adults. A replacement (lectotype) from "Ramle," near Alexandria, Egypt, was designated. Because of this spider's rarity and the difficulty of comparing new finds with the original, many synonyms were created under other names. This species has extensive variation in color pattern, ranging from uniformly pale, at least in alcohol, to uniformly dark except for a small, pale patch immediately above the spinnerets. Some specimens show a pair of lateral dark bands on the abdomen. 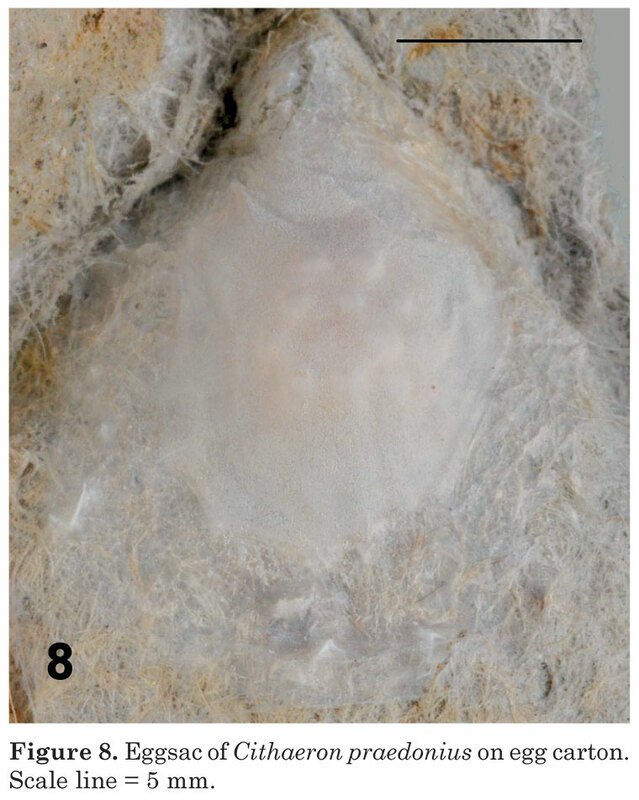 No two females show identical patterns of epigynal duct coiling - for that matter, no individual specimen shows identical coiling of the ducts of the right and left sides. (Platnick, 1991) In 2011 GB Edwards and JT Stiles documented the first North American records of this spider, finding 6 specimens and 2 eggsacs at the home of JT Stiles in Florida. The authors were able to observe the spider in captivity and in 'the wild', adding substantially to its known biology. The spiders, between 4 and 8mm, attacked and consumed other spiders in preference to other food, including small crickets and beetle larvae. Prey, including an adult Nesticodes rufipes and several Latrodectus geometricus spiderlings were sometimes larger than the attacker. Cithaeron praedonius builds nests to moult but lays its clutch of eggs anywhere in reasonably protected places and does not guard them or engage in any parenting. Eggsacs are white, lenticular with a noticeable bulge, and tend to blend into the substrate. The base is a thicker pad of white silk about 4 mm in diameter. (Edwards & Stiles, 2011) Cithaeron praedonius is noted for being extremely fast and difficult to catch (A. Russell-Smith, in Platnick 1991). They tend to live in relatively damp microhabits, but not in wet places, are active at night in buildings, and are known to walk very deliberately, but can move at astonishing speeds in short bursts. (Edwards & Stiles, 2011). Figure 7. 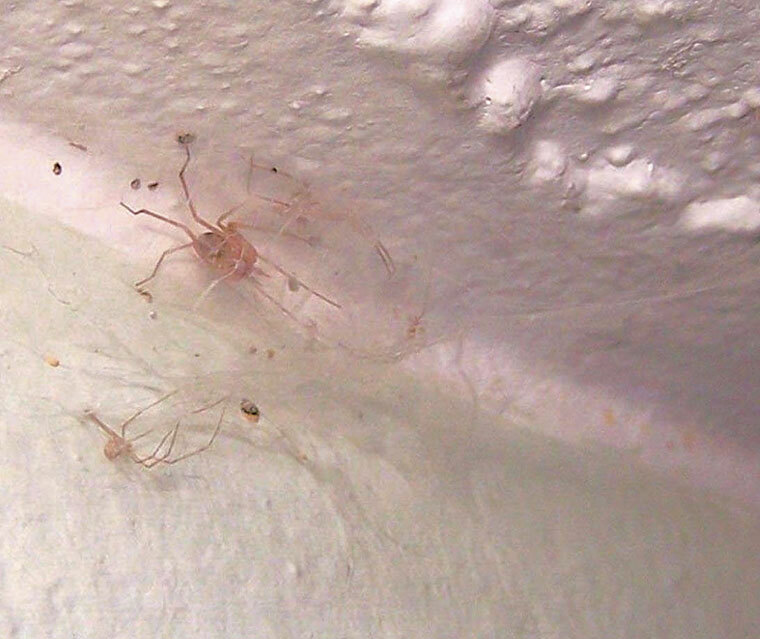 Adult male Cithaeron praedonius in nest in living room, recently molted, molt discarded outside nest. Photo credits: Joe Stiles, Saint Leo University, Saint Leo, Florida (Figures 1-4, 7); John Koerner, John Koerner Photography, Old Town, Florida (Figures 5-6); Jeff Lotz, Division of Plant Industry, Gainesville, Florida (Figure 8).